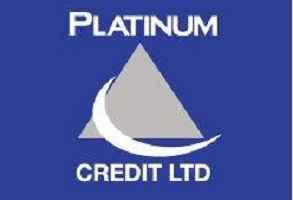 Overview: Platinum Credit Limited is a leading micro-finance company which offers emergency loans to civil servants in Tanzania. Our committed team ensures that we deliver a solution to your emergency financial needs within 24 hours. In order to enhance our efficiency, Platinum Credit is looking for competent and qualified high achievers to the vacant positions in the team. Ensure that there is growth in the number of actual sales representative. Ensure that there is growth in the number of active Sales Representative. Ensure continuous and thorough training of Sales Representatives through E-learning and working with the Training Manager, for them to master the product knowledge. Achieve Sales and recruitment targets. Ensure 95% collection rates in conjunction with report from Sales Representatives Portfolio Performance from the Sales Analyst. Timely submission of reports (Sales, Marketing and Training reports. Assessing Sales Representatives Presentations either through role play or actual performance in the field. Average Sales Representative score in random written /spoken test (Average performance should be at least 80%). Review customer’s files data from the Sales Representatives before they loaded into systems. Ensure that there is growth in the number of actual Sales Representatives within the zone. Ensure that there is growth in the number of active Sales Representatives within the zone. Ensure continuous and thorough training of Sales Representatives through E-learning, Branch Managers/Team leaders and working with the Training Manager. Achieve Sales and recruitment targets of the zone. Sourcing for new business in the zone. Timely submission of reports (Sales, tent, cycle plan & market penetration report and Zonal status reports. People management regarding HR issues in the region via reports. Good Sales planning, implementing, monitoring and assessing/analytical skills.